1.5" long x 0.8"x 0.5"
This naturally terminated tanzanite crystal was mined in the Merelani Hills of Tanzania. It is mostly translucent to semi-transparent with several small gem-grade areas at its tip. The prismatic faces are in mostly good conditon with some broken areas, and the terminations are in very good condition with vitreous luster. This naturally terminated tanzanite crystal was carefully heated and it has a very rich purple color in one direction and rich blue color perpendicular to the purple color direction. 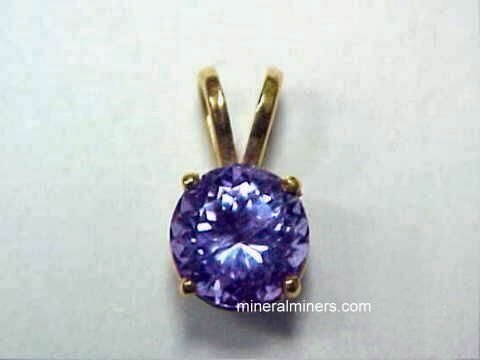 See also an upright view of this superior quality tanzanite crystal. 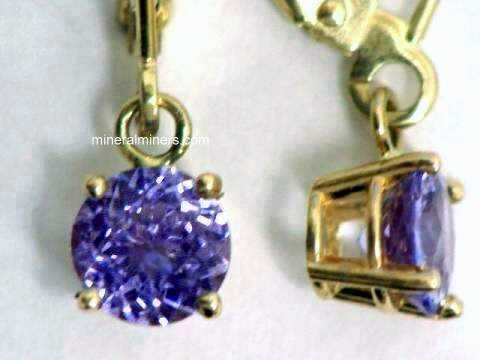 See an opposite side image of this naturally terminated tanzanite crystal. See also a side view of this gem-grade tanzanite crystal specimen. See also an additional view of this beautiful tanzanite crystal. 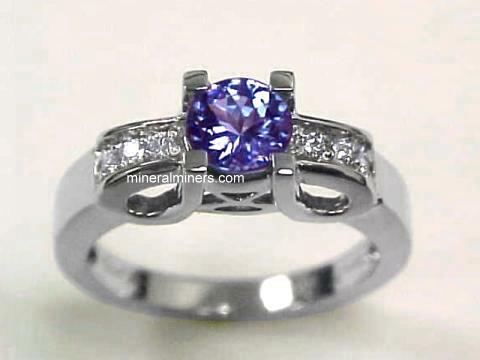 This is the end of our Tanzanite Facet Rough virtual gallery page. 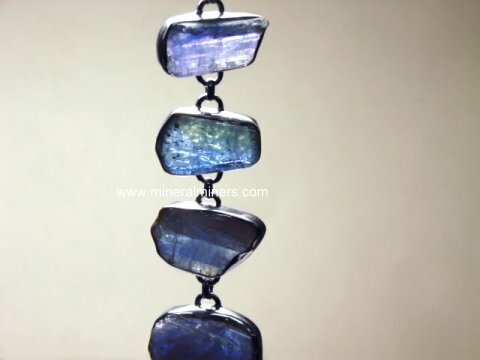 See also our page displaying genuine tanzanite gemstones, tanzanite bracelets and our pages displaying Genuine Tanzanite Jewelry, Genuine Tanzanite crystals and Mineral Specimens, and our genuine Tanzanite Earrings. 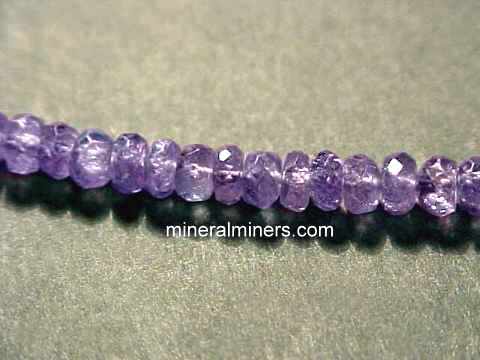 Would you like us to inform you when we add on this page more genuine tanzanite pieces suitable for faceting? We do have additional inventory of genuine tanzanite items in stock, so be sure to let us know if you have any tanzanite facet rough special requests. Please contact our webmaster or our 'site' geologist with any questions or comments.